Released on May 4th at the Disney Store this year, here we have this fun Inside Out stackable highlighter set featuring everyone's favorite emotions: Joy (yellow), Anger (red), Disgust (green), Sadness (blue) and Fear (purple)! 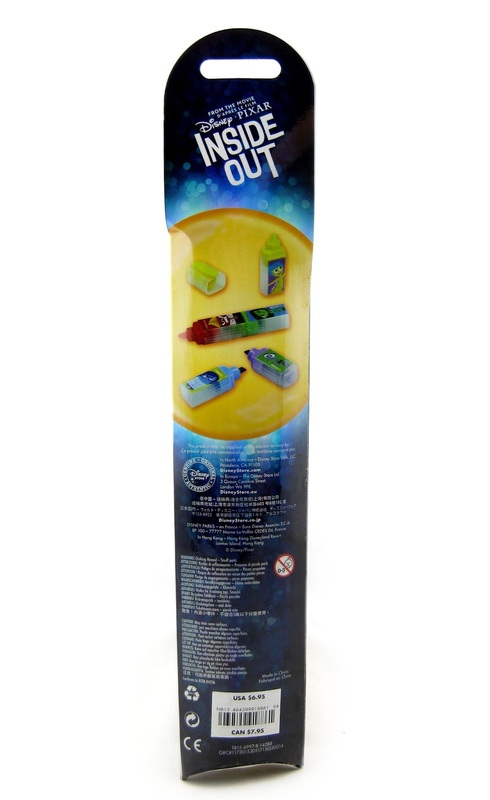 These are five individual plastic mini highlighters that interlock to create one big one. Each highlighter is 1 3/4'' H with the complete stack at about 7 1/2'' H. It retails for $6.95, but unfortunately it's currently all sold out online (listing was HERE). 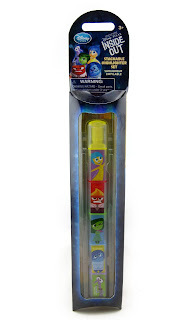 Your best bet is to see if your local Disney Store still has one of these in stock. This is a really cool set that you can't really go wrong with. Everyone does some sort of highlighting, right? If you're a fan of the film, than this is for you. Let me know if you have any questions or comments!